What Is the Philips Airfryer? Why Should You Choose the Philips Airfryer? One of the most popular brands when it comes to home and kitchen appliances is Philips, and is known worldwide as one of the best manufacturers of such products. The company has received numerous awards throughout their existence, and one of their most recognized and awarded products is the Philips Airfryer. 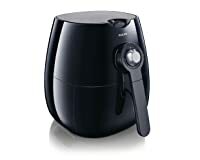 The Philips Airfryer was first released to the public back in 2010, and has since then gained the appreciation of many Philips patrons and users. To be brief, the Philips Airfryer is basically a kitchen appliance that is used to fry food. To some, it may look like a rather large rice cooker, but with a basket that looks more like a coffee maker. Depending on the size, the Philips Airfryer can weigh up to 7 kilograms, which is light enough to be transported should you wish to bring it out for a picnic or when you move to a new house. As was mentioned, the Philips Airfryer is mainly used for frying food much like a conventional deep fryer, but it is not only limited to such use because this appliance is also capable of roasting, grilling, and even baking. In another article related to our Philips Air Fryer reviews, you will see more of the astonishing recipes that you can cook with this kitchen appliance. Unlike the traditional deep fryer, the Philips Airfryer does not require a lot of oil in order to fry or cook food. This is actually one of the biggest factor that makes this product such as success. Because of the lesser amount of oil required in order to cook, fried dishes and snacks can now be enjoyed in a much healthier way. In fact, Philips claims that by using their Airfryer, you can reduce the amount of fat needed and consumed by up to 80%. It is also mentioned that if you decide to prepare homemade French fries instead of commercially produced fries, the percentage of fat you consume can go for as low as 1.5%! The Philips Airfryer also makes use of its patented Rapid Air Technology, a process where hot air is blasted and circulated around the airfryer in order to cook the food. This works in conjunction with the grilling elements in the airfryer. With a Philips Airfryer, you can cook 300 grams of French fries in a little over 10 minutes. This makes preparing snacks and fried finger foods very convenient and fast. Furthermore, the Philips Airfryer produces no mess when cooking. When frying in a pan, the hot oil splatters all over the place leaving spots of oil on the stove or worktop. This requires a lot of cleaning after cooking. Because the Philips Airfryer makes no use of oil and is cooked in an enclosed housing, you no longer have to worry about cleaning up. Also, because very little amount of oil is required, the Philips Airfryer can help you save on cash. Now, you don’t have to buy, store, and use large amounts of oil just for frying small batches of food. In general, you will only need half a tablespoon of cooking oil in order to fry 500 grams of French fries. You also no longer need to throw away pints and gallons of used oil, which helps you save even more. When you buy a Philips Airfryer, you will receive a user manual in order to guide you about the proper usage of your Airfryer. Thus, be sure to read the manual first before you start using the Airfryer. However, like many other kitchen appliances (or any other appliances for that matter), there are certain things which are not included in the manual. These things (more often referred to as tips and tricks) are actually rather important, because they can help you maximize the use of your Philips Airfryer. Be sure to read and make use of the recipe book that comes with your Philips Airfryer. There are about 30 recipes there which you can enjoy – from potatoes to meatloaf as well as brownies. You can also check the Philips website where they have listed more recipes. Some are from the company, while others are contributions from other Philips Airfryer users. The sizes and capacity of any Philips Airfryer varies, but whatever they are, be sure not to fill them to the brim or to the maximum when cooking. If you do, the food won’t become crispy or cook evenly. Many people think of the Philips Airfryer as simply for cooking; however, it can also be used to reheat cold food by following the recommended settings. For better results, it is best to use oven-ready snacks instead of freshly made snacks. Oven-ready snacks come pre-treated and are more likely to yield crispier and more golden-brown fried foods. If you want to make home-made breaded snacks, mix oil into the bread crumbs to make them crispy. It is recommended that you use snacks with low-fat percentages. This is because it can be challenging to get a crispy finish on the snacks if they contain large amounts of fat. This being said, avoid using too much oil, and use only the amount recommended in the cookbook. While frying, remember to shake the basket. Shaking it 2-3 times halfway into cooking is recommended. Doing so allows the heat to cook and fry the part of the food that are touching each other much better. This results in a more evenly cooked, more evenly brown, and more evenly crispy food. Also, remember not to press the basket release button while you are shaking. When frying meat or poultry, brush the outside of the meat or poultry with oil to get crispier results. Also, make sure that the meat or poultry is dry before brushing it with oil. You can make the food crispier by adding 1 or 2 minutes to the preparation time, but you should be careful not to burn the food. If you are cooking untreated ingredients like freshly peeled potatoes or unmarinated chicken, add oil in order to make it crispier and improve its taste. Never put the hot pan directly on top of counters or worktops with heat-sensitive materials like laminated wood because this will damage them. If necessary, place the hot pan on a coaster or an oven glove. Fry only smaller batches of food, at least one layer only for better results. Most snacks can be prepared at 200 degrees Celsius, while pastries should be airfried at 180 degrees Celsius. Add 3 minutes to the preparation time if you have not pre-heated the airfryer before cooking. Because not all Airfryers are created equal, it would be an injustice to simply write about the different commonly asked questions about general Airfryers in the market. Thus, for this Philips Air Fryer reviews, we will outline the specific questions that relate to this particular brand of Airfryers, so people who are planning to purchase this item can have an idea about the product. 1. Can I clean the Philips Airfryer in the dishwasher? .2. Why is the outside of the Airfryer heating up while cooking? This is actually normal, because the heat from inside the Airfryer is radiating to the inner and outer walls of the Airfryer’s housing. There are also parts of the Airfryer that supposed to become hot during the cooking process, and are labeled appropriately to warn you not to touch them. However, the buttons, knobs, and handles should always remain cool to the touch. If you think it is unreasonably warm, you should contact your nearest Philips Customer Center right away. 3. Why is the food not crispy? Vegetables will not become crispy when cooked in the Airfryer. Although you can roast, grill, or bake using the Philips Airfryer, the Airfryer is designed to fry only potatoes, snacks, meat, poultry, or breaded snacks. 4. 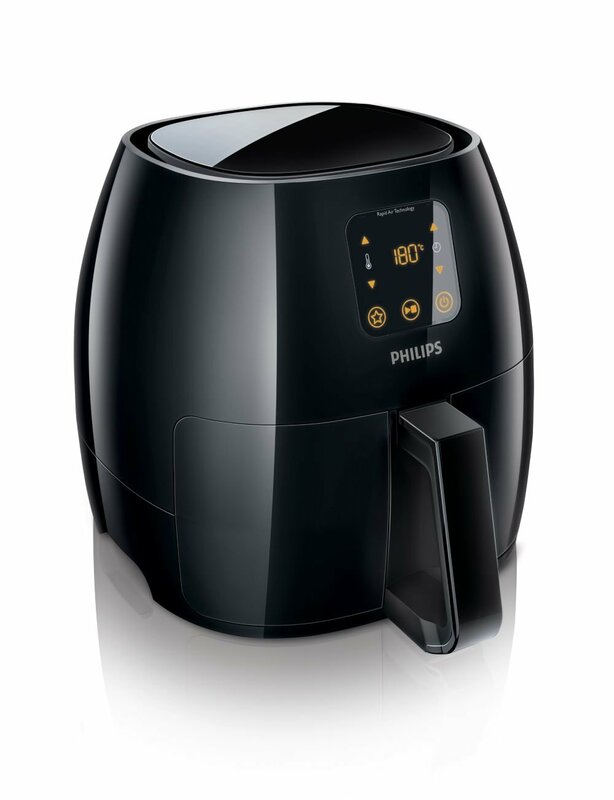 Why should I register my Philips Airfryer in the Philips website? Registering your Philips Airfryer will give you the opportunity to receive news and product updates from Philips. Where possible, you may even be offered the chance to try, test, and review the latest products, gadgets, or appliances from Philips before they are released into the mass market. 5. 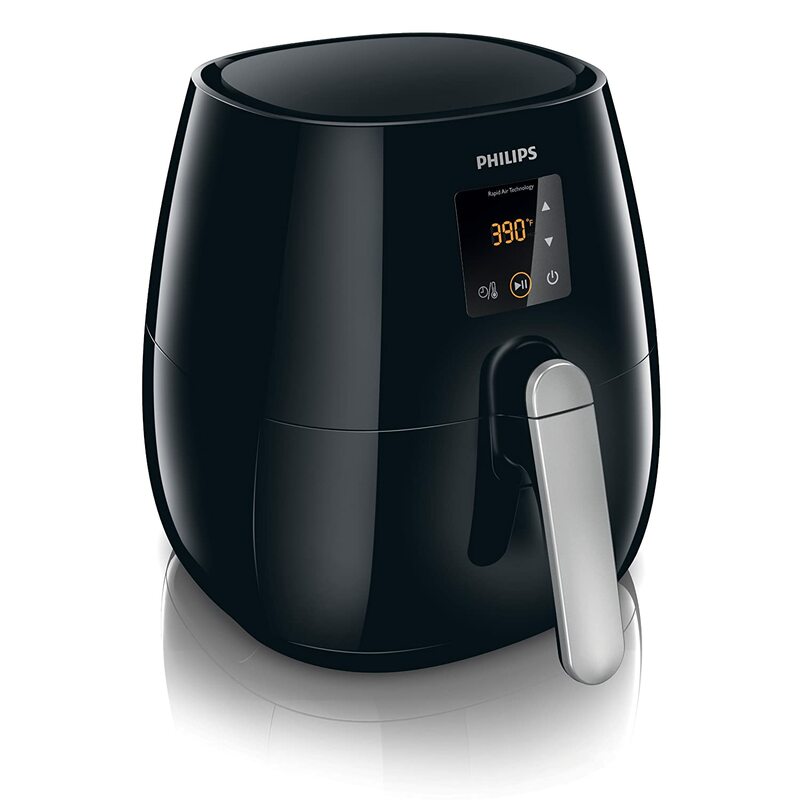 What kind of oil works best with a Philips Airfryer? Although most kinds of cooking oil can be used with the Philips Airfryer, it is advisable to use traditional cooking oils like olive oil, peanut oil, or sunflower oil to name a few. You can also make use of flavored oil or spiced oil to give your dishes additional flavor. 6. Do I have to cool down the Airfryer before storing it? Yes. The cooling down process can take anywhere from 30 minutes to 45 minutes. However, you can make the Airfryer cool down faster by removing the pan. You can also cool down the pan faster by filling it with cold water. If you are looking for a way to cook deep-fried food in a healthy and mess-free way, then using a Philips Airfryer is your best option. This Philips Air Fryer reviews the different features of this wonderful product, and hopefully it helped you see that cooking fried foods for you and your family can now be done in a healthier, faster, cleaner, and more economical way.